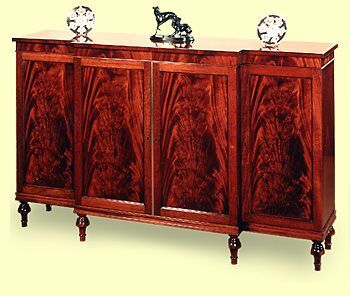 The top of this solid mahogany piece is crossbanded in satinwood. The center compartment includes a baize lined cutlery drawer. This shallow, but broad, piece provides an attractive storage solution for the smaller dining room or hall.